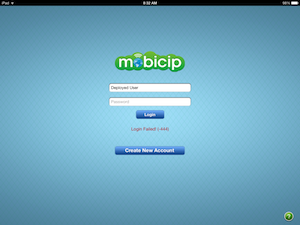 It is highly recommended that you update the Mobicip Safe Browser app to the latest version (v3.6) from the app store BEFORE upgrading to iOS 7. In any case, you can recover from this issue easily. Simply delete the app and install the latest version from the App Store. Login using your username and password it should go through successfully. Please contact support(at)mobicip.com if you need any additional assistance.